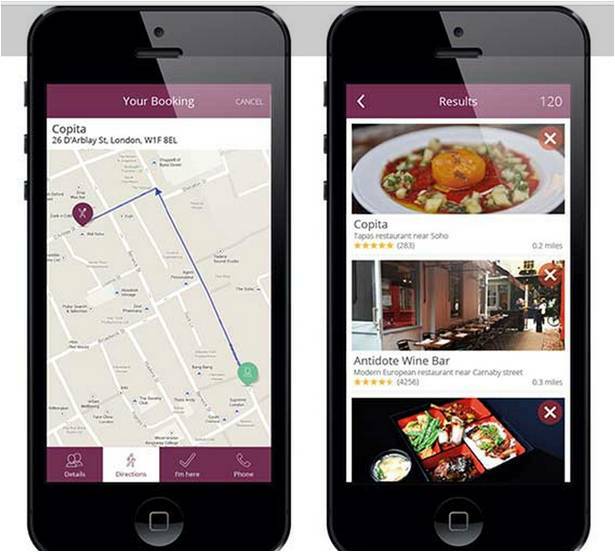 Ruffl, a brand new smartphone app helping diners fulfil the increasing trend towards ‘here and now’, spontaneous dining. Using geo-location and connected directly to an expanding network of restaurants, the Ruffl app allows diners to search, discover and instantly book available tables nearby in just 3 taps, many with special offers, deals and discounts. There are thought to be 450 restaurants signed up, including: Les Deux Salon, Sarastro, Roux at Parliament, Individual Restaurant Group, Royal Horse Guards, Reform Social and Grill, Copita, Caravaggio, Antidote Wine Bar, Zen China, and Rowley’s. Techcrunch describes it as part of the the next wave of hyper-local, real-time dining, alongside Hasty and others. Tell the app how many diners, price range and up pop 5 nearby restaurants. Tap to book the restaurant and turn up there within fifteen minutes. It’s simple and it works. We are big fans of hailo so we get it.